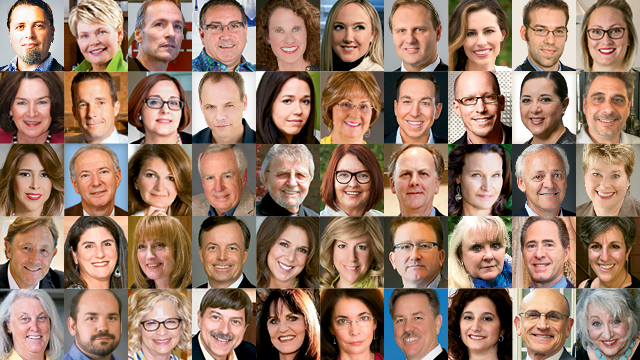 KBDN highlights 50 top innovators whose work, creative talents, business acumen and professionalism are currently leading the way for the industry and elevating the kitchen and bath trade. The outlook for 2018 appears bullish, while up-and-coming trends focus on smart technology, black stainless, aging-in-place features, color, freestanding tubs, deeper sinks and more. KBDN highlights 50 top innovators whose work, creative talents, business acumen and professionalism are currently leading the way for the industry, and elevating the kitchen and bath trade. (CHARLOTTE, NC) January 11, 2017- The SEN Design Group, the kitchen and bath industry’s first and largest buying group, is proud to announce the expansion of its on demand library, SENtelligence, now available to all kitchen and bath dealers. August 9, 2016 (Long Island, NY) – operateIT announced today that Task Lighting, Häfele America Co., the Medallion, Yorktowne, and Design-Craft cabinet lines of Elkay Cabinets, Bellmont Cabinet Co., and WarmlyYours, have all recently signed on as the first Charter Partners in the company's Manufacturer Marketing Partner Program (MMPP). "By having their products' pricing featured in an exclusive and prominent position on this dealer operating platform, these vendors will gain a powerful competitive advantage, greater sales increases, unmatched analytic information for sharper forecasting, and customer loyalty for their brands," said Keith Tobias, CEO of operateIT. Added co-founder Ken Peterson, CKD, "Leveraging the Good-Better-Best (GBB) interactive budgeting system, embedded as the crown jewel of this software, will enable dealers to get retained on projects much faster than their competition, increasing their annual sales capacity by 3-5 times." The company developed this groundbreaking technology in concert with the SEN Design Group whose members have been gaining traction this year with a private-label version known as Network Management System (NMS). The product will be made available industry-wide under the name of CompuTool Connect in early 2017. Dan Luck of Madison, WI is one SEN member who has worked with the NMS software and sees its potential. In encouraging his favorite vendors to get on board with the platform, he stated: "I long for the day, when we can sit confidently side-by-side with a client, make all the product selections, generate an estimate and go into contract, all in the same visit, no additional appointments needed. NMS has that capability today. However, the biggest obstacle in completing that dream is getting the pricing and product selections into the system. If that’s accomplished, game on. And, NMS, will be the ultimate game-changer for our industry." Commented Ken Anderson CKD, president of Task Lighting and the first committed MMPP Charter Partner: "We are paving the way for a new breed of kitchen and bath professionals, and looking for market leaders to lock arms with to produce industry-wide positive change." Based in Long Island, NY, operateIT is an industry-specific technology services company that is also 98%-owned by businesspeople who make their living in the kitchen/bath industry. Its flagship, cloud-based application suite, CompuTool Connect, is designed for the trades, instills best business practices, and provides a familiar work flow from inquiry to ordering, creating an effective operating system for a kitchen and bath business. The application suite is full-cycle, which replaces a multitude of legacy, single-focus tools; it also offers 3rd party integrations such as 20-20 on the front-end and Quickbooks on the back-end. Vendor catalogs, mounted on the platform, make it easy for products to be specified and priced into projects. White Glove Implementation Services (WGIS) and training in a variety of formats are available to kitchen/bath dealers and designers. The company is headed by CEO Keith Tobias who has been providing residential construction trade software solutions for over 22 years. Ken Peterson CKD, a 48-year kitchen/bath industry veteran, serves as a strategic consultant and Chairman of the Board. The SEN Design Group announced earlier this month that Ken Anderson, CKD, President and CEO of Task Lighting Corp, was selected as the nineteenth recipient of the M. A. Peterson Best Businessperson of The Year Award. The award was presented during the organization’s National Spring Conference before a gathering of 250+ kitchen and bath dealer members and manufacturing partners at the Hyatt Regency Riverfront in downtown Jacksonville, Florida. The SEN Design Group, the kitchen and bath industry’s first and largest buying group, has expanded its cabinetry offering to include four new cabinet manufacturers. Effective immediately, Bellmont Cabinetry, CWP Cabinetry, Echelon and Advanta brands by acpi Corp., and Wellborn Cabinets are now all available to all SEN members.